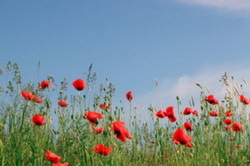 Come and join our Remembrance Day services on Sunday 11th November. We are making a display of handmade poppies for Remembrance Sunday. These can be knitted, crochet, fabric, paper or card but not greater than 4 inches diameter. There will be a box at the back of church for any items.